The boundaries of the course are: fence to the left of 1st, railway fence to the left of 3rd and 4th, over lateral drain to left of 8th, fence and wall to left of 9th, 10th and 11th (Rule 27). All fixed sprinkler heads and hydrant boxes (and gully traps) are immovable obstructions (Rule 24.2). In addition, if such obstruction is on or within two club-lengths of the ball and intervenes on the line of play the ball affected (except in hazard) may be lifted, cleaned and dropped at nearest point of relief but not nearer the hole. Tyre marks are ground under repair (Rule 25). A ball lying adjacent to a staked tree so that a player making a stroke could cause damage to that tree must be lifted and dropped without penalty within one club length of the nearest point of relief, not nearer the hole, providing relief from the condition. All roads and paths are integral parts of the course. The ball must be played as it lies or declared unplayable (Rule 28). Relief may be available from sleepers under Rule 24. Stone drains, sleepers, gully traps, inspection chambers and stone distance markers may be treated as immovable obstructions (Rule 24.2). Stones in bunkers are moveable obstructions (Rule 24.1). 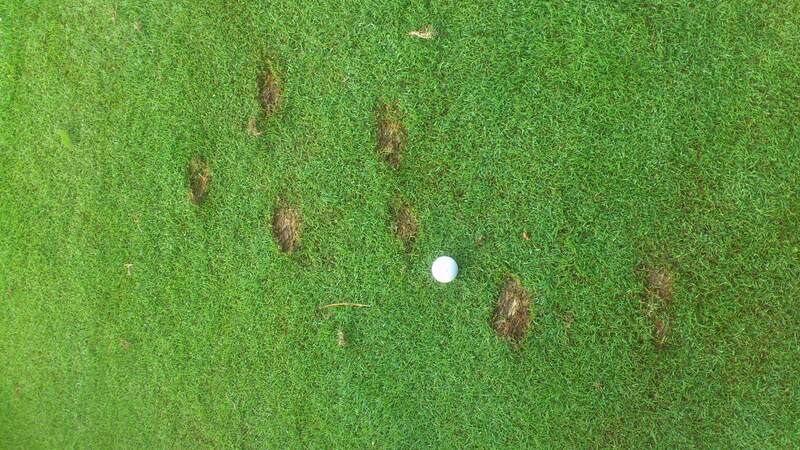 For all play a player may obtain distance information by using a device that measures distance only. If, during a stipulated round, a player uses a distance measuring device that is designed to gauge or measure other conditions that may affect his play (e.g. gradient, wind speed, temperature etc.) the player is in breach of Rule 14-3, for which the penalty is disqualification, regardless of whether any additional function is actually used. 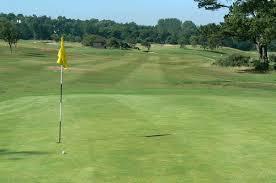 Distance Markers are located in the centre of fairways (and by green posts), 150 yards from the centre of the green. 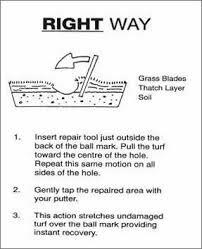 Please help us to maintain the integrity of our golf course by repairing all pitch marks and divots. Thank you for your help in ensuring the playing enjoyment of all golfers.